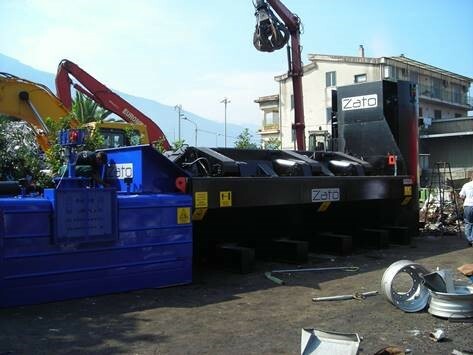 The Zato 800 Blue Whale shear baler is a high quality baler made of simple but sturdy arc welded metal components. 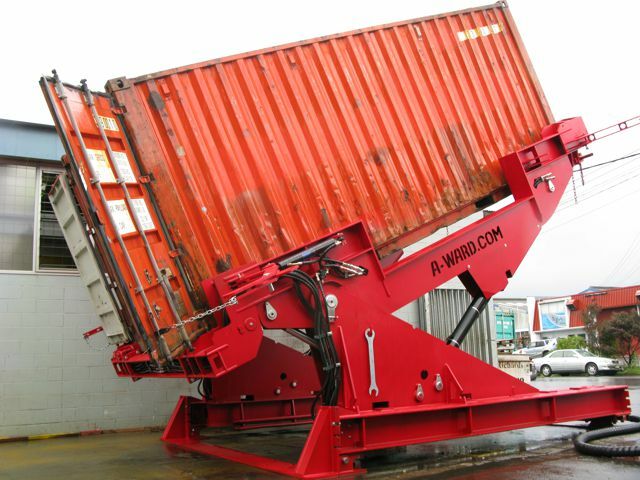 It has a “one piece” structure and is of a much heavier construction than other shear balers of its type. 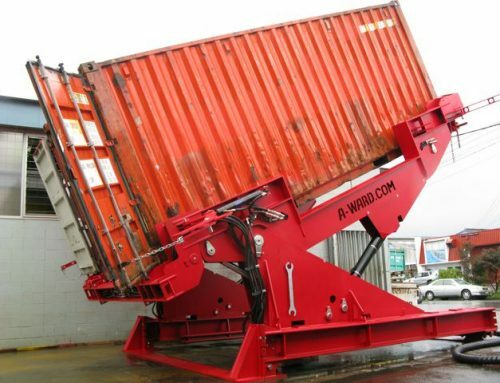 The blue whale shear baler is a stand alone unit which can be moved around your yard relatively easily. 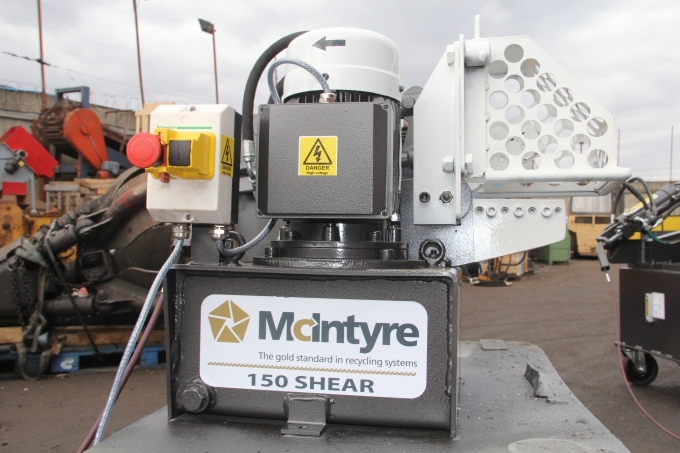 This used machine is an 800 tonne model built in 2011 and is available at a fraction of its new price. 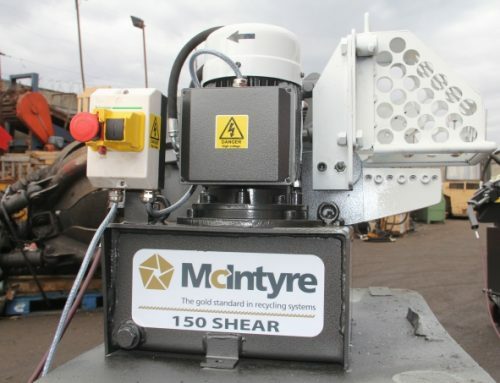 It has been reconditioned and has a 6 month warranty. 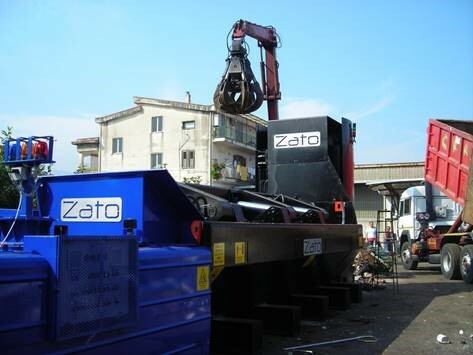 Incorporating the new ZATO wrap-a-round box design, with its large curved lids, material is folded into a log before it is sheared to length or compressed in to a bale. 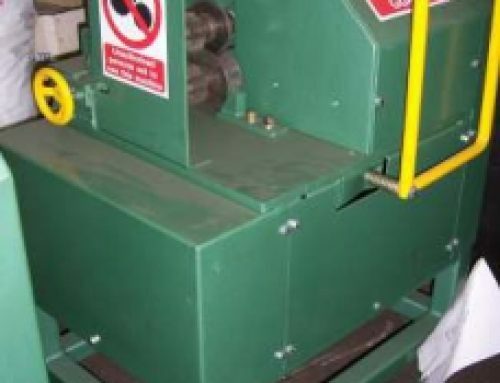 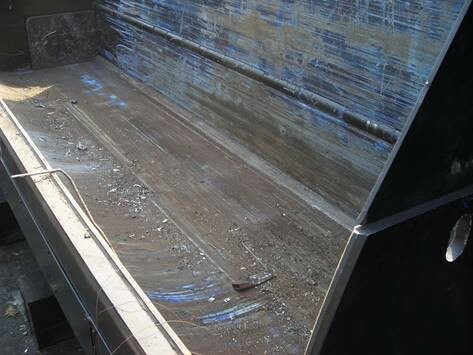 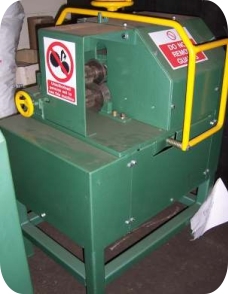 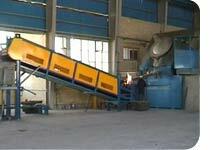 A hold down facility is fitted as standard to compress the material prior to shearing. 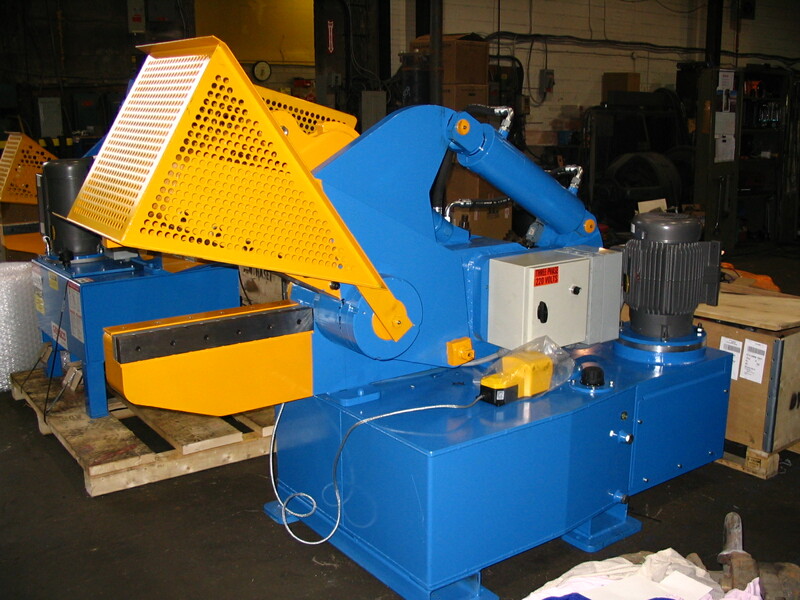 This improves the density of the material and the cutting action. 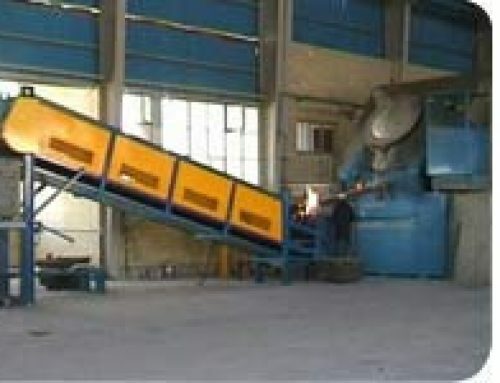 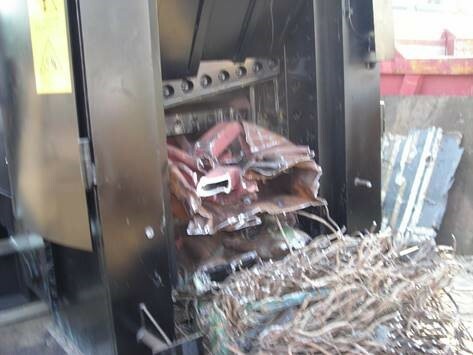 Maintenance times are reduced because the machine can be fully opened. The Blue Whale 800 shear baler has been designed to quickly and efficiently process a wide range of materials. 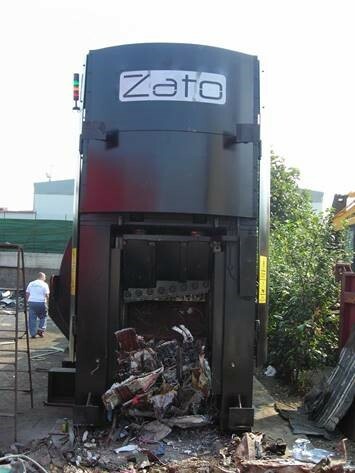 Simple to operate and rugged in construction, this Zato shear baler is ready and waiting to meet your need for speed.